This year hasn’t been pretty for the Arts and Science Federation of Associations. The organization representing approximately 15,000 Arts and Science undergraduates at Concordia University has been subject to some harsh criticism over the past few months for various issues, including a high-profile sexual harassment scandal and a failure to meet quorum at its general election in April. The executive and independent council candidates hoping to lead ASFA for the upcoming academic year have promised a multi-level restructuring of the federation in the next months. Voting for its next election is scheduled for Oct. 20 through 22. The most glaring issue within the federation was brought to light by last year’s Mei-Ling scandal, in which former executives were accused of sexually and racially harassing a female colleague. Jenna Cocullo, another presidential candidate, explained how restructuring the organization’s bylaws can prevent future cases of harassment from happening. “We are going to try to put in place a code of conduct and procedures for executive or council members who are accused of sexually harassing other members,” she said. The federation’s previous general election, which took place in April, failed to meet quorum by 127 voters. The winners were appointed on an interim basis. 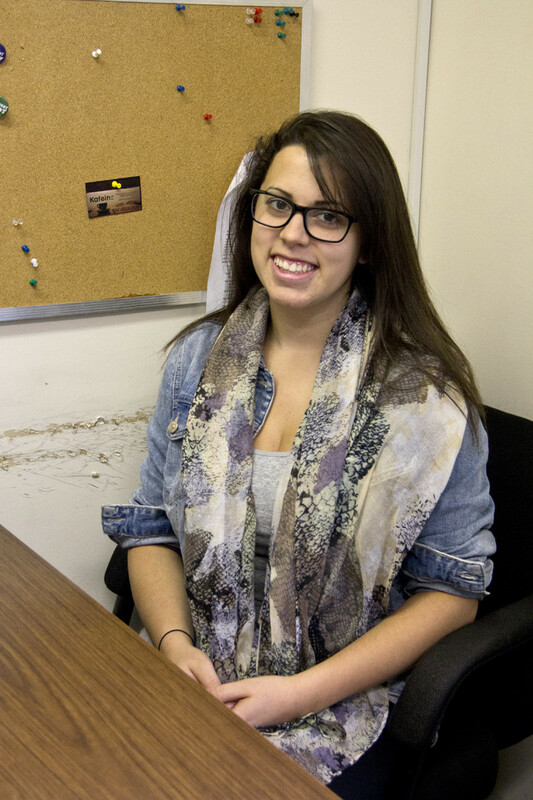 Mariah Gillis, a candidate for VP Internal, said last election’s low voter turnout was due to apathy. “I think people were really just so jaded with hearing about everything that was going on [with the Mei-Ling scandal], and didn’t really want to participate,” she said. Many of the candidates felt they didn’t need to work hard to attain their positions and failed to promote their campaigns properly, she continued. “This time it’s really contested, so most people are really working hard to get their name out there,” Gillis said. All executive positions are currently open, and should be filled in the upcoming election, according to Chief Electoral Officer Julia Vera. Only one position—VP Communications—is uncontested. Transparency within the federation is also a priority in the wake of allegedly “unprofessional” conduct of former interim VP Finance, David Ness. Ness resigned from his position after council said he failed to properly distribute documents. Moving forward, the financial committee will be forced to take minutes and notes of their sessions. The committee is responsible for approving budget proposals from ASFA’s member associations (MAs), among other budgetary responsibilities. Failing to do so will render anything the committee does as invalid, according to Cocullo. Cocullo and Gillis will push for complete overhaul of ASFA in the coming months, according to Cocullo, and both are running on the “Support Change” slate in the upcoming elections. Cocullo would also push for an abolishment of the president position in ASFA. “I would probably work towards making everyone have coordinated roles, that way it kind of eliminates the centered hierarchy in the association,” she said. Young said that it is “not a terrible idea in principle,” but that it either shouldn’t exist at all, or should be available for anyone on the executive team to utilize. Another issue Gillis mentioned is a voting “monopoly” that certain departments have within ASFA. Some departments have more member associations representing them in council, which could lead to an imbalance in voting power. “[The solution] would be to get them accredited under a federation themselves, and then they would send just one councillor to represent all of them,” Gillis said. Classics, Modern Languages and Linguistics (CMLL) has the most representation on council. This hasn’t caused problems as of yet, but may in the future, according to Gillis. Jared Buck, a third presidential candidate, believes that reaching out to students is an important aspect of the much-needed change. “If you walk around campus, either Loyola or SGW, and ask students about ASFA, a shockingly large amount of people don’t even know who we are or what we do,” he said. The low voter turnout of the last election was due to the high profile sexual harassment scandal, according to Young. “It was the absolute disgust that everybody had for ASFA in the wake of the Mei-Ling case,” he said. Additionally, many of the positions were uncontested at the last election, which caused disinterest among students. The increase in number of candidates running this time and the fact that there is a campaign will, “by its very nature,” get more people involved, Young said. Promotion for the election will also be increased through in-class speeches and extra standing boards on campus, according to CEO Julia Vera. Additionally, there are two upcoming candidate debates on Oct. 13 at Loyola in the RF building room 110 and Oct. 15 downtown in the Hall building room 762. Vera says not all candidates are campaigning, but the ones who are have been promoting themselves well around campus. “ASFA needs to find a way to reach out to more students and it starts with becoming more open and thorough,” Buck said.